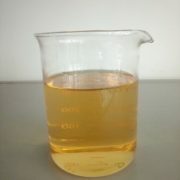 Concrete Admixture - Polycarboxylate Superplasticizer of Ultra Early Strength PC-E - MUHU (China) Co., Ltd.
Package: 1100 kg / IBC Tank , 240 kg / drum. PC-E is a polycarboxylic ether (PCE) based superplasticiser that has super retention technology. PC-E is a polycarboxylic ether (PCE) based superplasticiser that has super retention technology. PC-E provides exceptional good early strength development. While conventional admixture for high early strength concomitantly suffers from high work-ability loss over time and eventually lower final strength, PC-E overcomes this dependency and provides much improved slump retention and vastly increased final strength of concrete. PC-E Polycarboxylate Superplasticizer of High Early Strength is suitable for making precast concrete elements with rheoplastic concrete having fluid consistence, no segregation and low water cement ratio, and consequently high early and long-term strengths. PC-E Polycarboxylate Superplasticizer of High Early Strength complies with the requirements of the following standards: ASTM C 494, Type E & F. BS EN 934-2. As compared to the traditional superplasticizers, the engineering properties such as early and ultimate compressive and flexural strengths, bond to steel, modulus of elasticity, shrinkage, creep, and impermeability are improved. 1) PC-E can be widely used in ordinary concrete and high performance concrete, especially having excellent performance in high performance concrete of early strength. 2) PC-E can be applied in industrial and civil construction, pumping concrete construction in hydraulic project, port, traffic, municipal and railway. It can also be used for making special concretes, such as high strength, ultrahigh strength, high impermeability, early strength, self-leveling and steel fiber type. 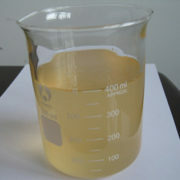 (1) High water reducing rate: The dosage range is 0.3 — 0.8%. The recommended dosage is 0.5% of cementitious material. 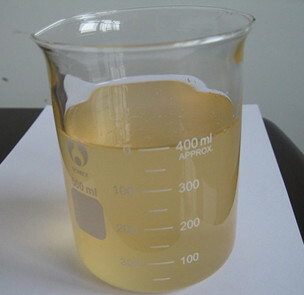 According to ASTM C 494 type E & F “Concrete Admixtures” standard test, water reducing rate is above 28%. Water reducing rate can be above 30% under optimal dosage (confirmed by lab test). Cement-saving rate is 15-20%. 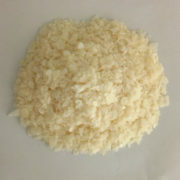 (2) High early strength: concrete compressive strength ratio is above 180% after 1 day, above 160% after 3 days, 150% after 7 days, and 40% after 28 days, if our product is used under optimal dosage. Concrete long-term strength will also be enhanced obviously. (3) Long durability: PC-E, with low chloride and alkali content, can decrease concrete long-term air shrinkage and shrinkage crack. Concrete shrinkage ratio will be less than 110%. Suitable air content and foaming structure will ensure concrete long durability if our product is used. It is far beyond the post-performance of both traditional naphthalene and acetone sulfonate formaldehyde early strength superplasticizers. (4) Production clean degree is high: Due to formaldehyde, industrial naphthalene, acetone or other flammable and toxic chemicals being not used in production process, it meets cleaning production standard. This new production technology is a fully automated process without heat production. (5) Safety: non-toxic, no radiation, non-inflammable, no corrosion for steel bar or aggregate, and no formaldehyde, or aromatic residues harmful for human. Our product complies with the current environmental friendly standard of interior and exterior construction. 2) Recommended dosage: 0.4% weight of cementitious material (calculated according to PC-E). Concrete lab test for optimal dosage is required before usage or cement changing. 1) Our product can be packed in 200L or 1000L plastic drum according to customer’s requirement. 2) It should be stored in a cool and dry place. 3) Shelf life is 1 year. It can also be used after shelf life, if concrete test is qualified. Polycarboxylate Superplasticizer does not fall into the hazard classifications of current regulations. However, it should not be swallowed or allowed to come into contact with skin and eyes. Suitable protective gloves and goggles should be worn. Splashes on the skin should be removed with water. In case of contact with eyes rinse immediately with plenty of water and seek medical advice. If swallowed, seek medical attention immediately and do not induce vomiting. For further information, refer the Material Safety Data Sheet available for this product. As all MUHU technical data sheets are updated on a regular basis, it is the customer’s responsibility to check that the product is suitable for the intended application, and that the actual conditions of use are in accordance with those recommended.